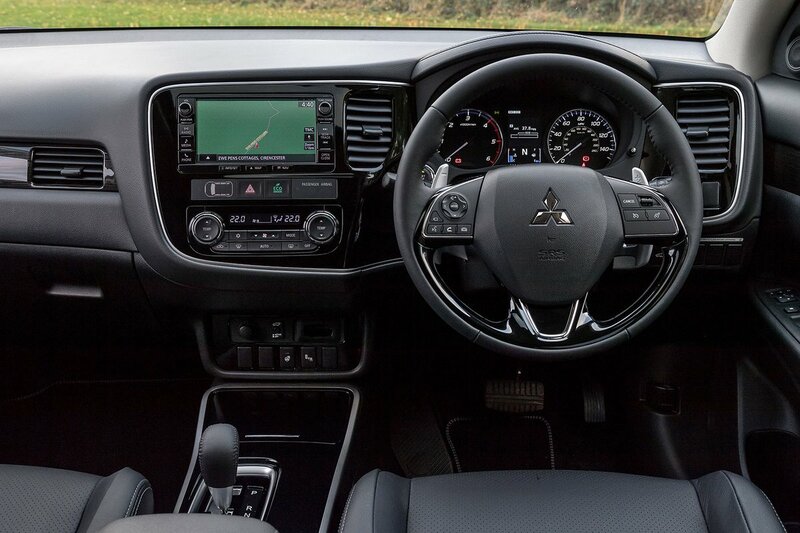 Mitsubishi Outlander Interior, Sat Nav, Dashboard | What Car? Finding a comfortable driving position isn’t easy due to limited height adjustment – it just can’t drop low enough for taller drivers. The steering wheel doesn’t adjust sufficiently for height or reach, either. Most of the dashboard controls are simply laid out, but some of the buttons are tucked away out of sight and the touchscreen sat-nav system has complex menus and small, hard-to-hit icons. All versions come with a footrest, giving drivers somewhere for their left foot on long journeys. You get a decent all-round view from the driver’s seat, aided by large door mirrors. The high-set seating position aids visibility, too. Rear parking sensors are standard on 3 models but can be added by a dealer to any version. Front parking sensors are also available on all models. In addition, 4 models get a reversing camera that makes it even easier to judge your parking manoeuvres. Entry-level 2 trim has a rather a small LCD display for radio and media functions; Bluetooth is available, but only as a dealer-fit accessory. The latter is standard with 3 trim, but upgrading to 4 brings a 7.0in colour touchscreen display, sat-nav and DAB radio. The touchscreen system has complex menus and small, hard-to-hit icons. It’s rather fiddly to use and feels like an aftermarket accessory when compared to better-integrated systems on rival cars. All versions get a small LCD vehicle and journey information display in the instrument cluster. It’s monochrome on 2 trim and colour on 3 and above. 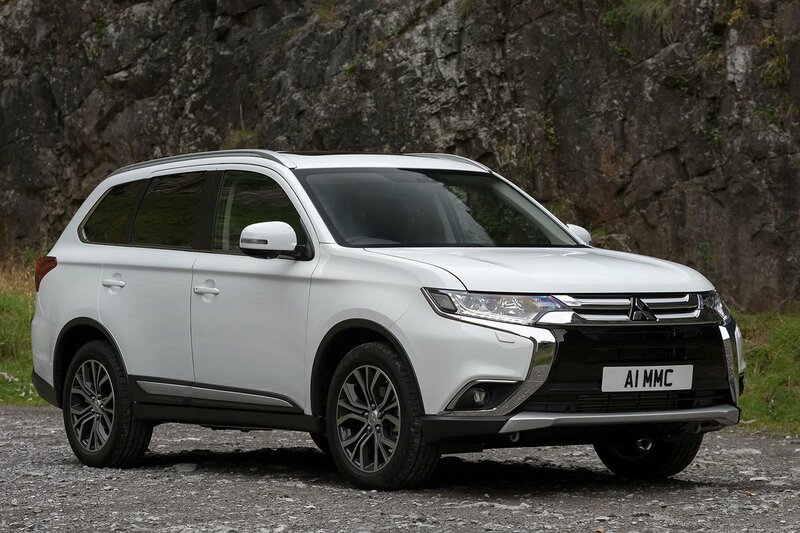 The upper surfaces of the Outlander’s interior feel pleasantly squidgy when you give them a prod, and harder plastics are generally confined to lower areas where they are less noticeable. Fit and finish isn’t quite up to rivals’ standards, though, and the overall, the inside design is rather dated. 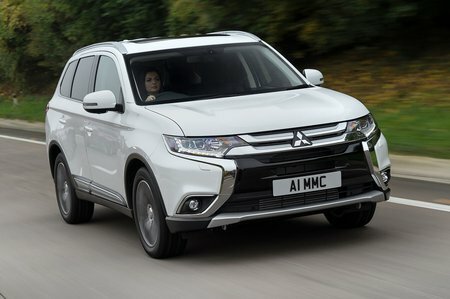 With no colour choice other than black unless you opt for a top-spec PHEV, the interior feels drab – despite bits of gloss-black trim and chrome highlights on the fascia. Top-level 4 trim does add some further decoration in the form of black ash trim on the doors but, while this is pleasant enough, it still doesn’t disguise the fact that the Outlander is no class leader in terms of perceived quality.